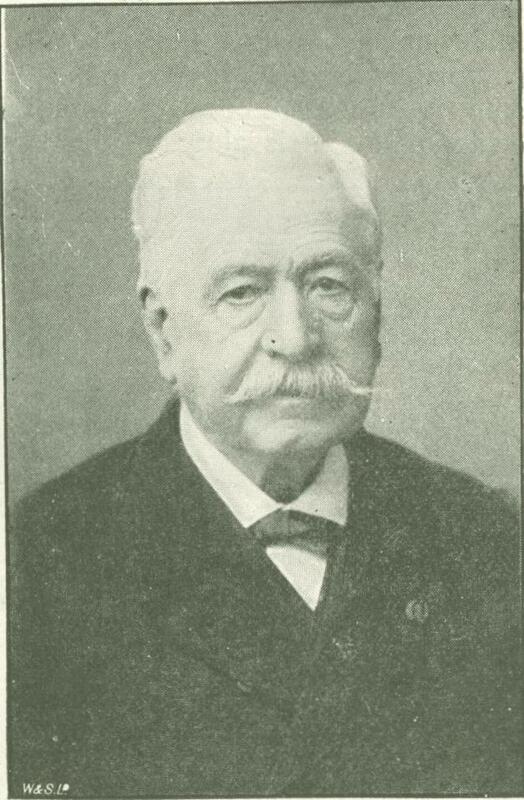 The name of de Lesseps has been on the lips of many people, both French and Eng­lish, within the past two years; some speaking of him in terms of reproach, others of admira­tion, for his past services to his country and the world at large, and commiseration for his present sad position, and the failure of his last great scheme, the cutting of the Isthmus of Panama. This record of his life, therefore, by one who, from her childhood, has known the "Grand Francais," may be found interesting at this moment. 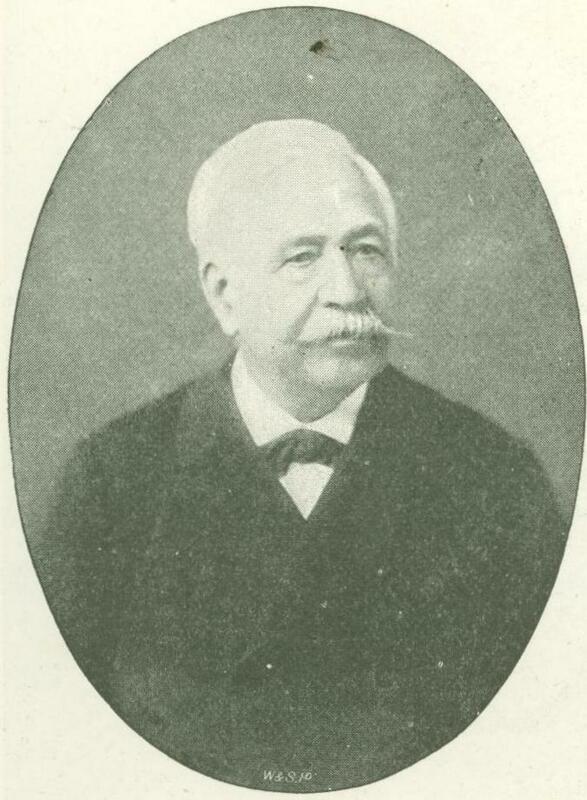 Ferdinand de Lesseps was born at Versailles on the 19th November, 1805. At first, and for many years, he was engaged in the French diplomatic service at Lisbon, Barcelona, and the East. Count Ferdinand de Lesseps was married, first in December, 1838, to Mlle. Delamalle, by whom he had five sons. His three elder children died at an early age, and his surviving sons by this marriage are Charles and Victor de Lesseps. Charles, the former, of whom the world has heard so much lately, took an active part in the works both at Suez and Panama, and was the able assistant of his father. When the events of 1851 and 1852 placed the third Napoleon on the Imperial throne of France, and the Emperor, in January, 1853, married Mlle. de Montijo, who was the cousin of De Lesseps, his influence at the French Court was assured. It was in 1854, when in Egypt on a visit to H.H. Mohamed Said Pasha, that the project of cutting the Isthmus of Suez was first broached by him. He discussed the scheme with Said Pasha, and as a result his "Percement de l'Isthme de Suez" was drawn up. He obtained a conces­sion in 1856 from the Viceroy Said Pasha, who himself took a large share in the venture, and granted De Lesseps an extraordinary privilege in the shape of forced labor. Count de Lesseps then left for France to obtain the necessary capital for his works, and returned to Egypt in 186o. The pre­liminary works were commenced in this year, and proceeded with, notwithstanding great opposition, especially from the British Government. Another great difficulty presented itself, for during the progress of the works Said Pasha died, and was succeeded by his brother Ismail. Ismail was alarmed at the magnitude and uncertainty of the grants to the Canal Com­pany, and was anxious to retire from the obligation of finding forced labor for the construction of the works. He therefore refused to ratify or agree to the concession granted by his brother. For a time the whole works of the Canal were stopped, but eventually the question in dispute, together with the objection which had been raised as to the necessity of obtaining the Sultan's confirmation of the original concession, was referred to the arbitration of the Emperor of the French. In the result Napoleon III awarded the sum of £3,800 000, to be paid by the Viceroy of Egypt to the Canal Company as an indemnity for the loss they had sustained by the withdrawal of forced labor. This sum was applied by the Company to the prosecution of the works of the Canal. In 1865 a small chan­nel was made, with suf­ficient water to admit the passage of very small vessels. By the year 1867, the bed of the Canal was so far enlarged as to admit the passage of small ships and schoo­ners. In August, 1869, the waters of the Medi­terranean were mingled with those of the Red Sea. On November the 17th, 1869, the Canal was formally opened at Port Said, amid a series of fetes, which culminated in the famous ball given at Ismalia, by Ismail Pasha, which combined all the extravagance of the East with the civilization of the West. The ball was opened by Count de Lesseps with the Empress Eugenie as his partner. The Emperor of Austria, the Crown Prince of Prussia, and many other Royal personages were included amongst the Viceroy's guests. Ismail Pasha was at this time in the height of his glory, and he lavished his hospitality broadcast. 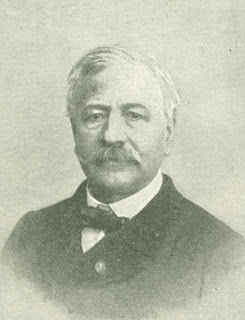 A few days after this great triumph, Count de Lesseps married a young Creole—Mlle. Autard de Bragard. A little romance is told of his first meeting with Mlle. de Bragard, on the voyage from France to Egypt. Count de Lesseps had gathered in Palestine some roses near the Dead Sea, called the roses of Sheron. They are a genus of dried flowers, which, when placed in water, open and present an appearance of blooming. He explained the peculiar characteristic of this flower, and remarked it was similar to his old heart when nurtured. Thus was the proposal made and, as is known, accepted. 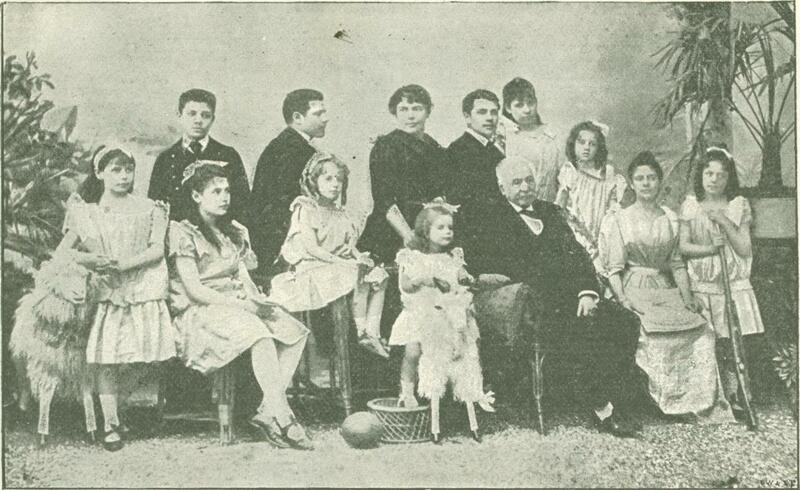 By this marriage he had twelve children, six boys and six girls: Mathieu, born 12th October, 1870; Ismail, born 27th November, 1871; Ferdinande, his eldest daughter, born 3rd December, 1872, and who has married the Count Ferdinand de Goutant Biron; Eugenie, born 1st January, 1874, died 19th May, 1874 ; Consuelo and Bertrand, twins, born 3rd February, 1875; Helene, born 8th July, 1876; Solange, born 18th September, 1877; Paul, born 13th April, 1880; Robert, born 23rd May, 1882; Jacques, born 5th July, 1883; Giselle, born 16th December, 1885. 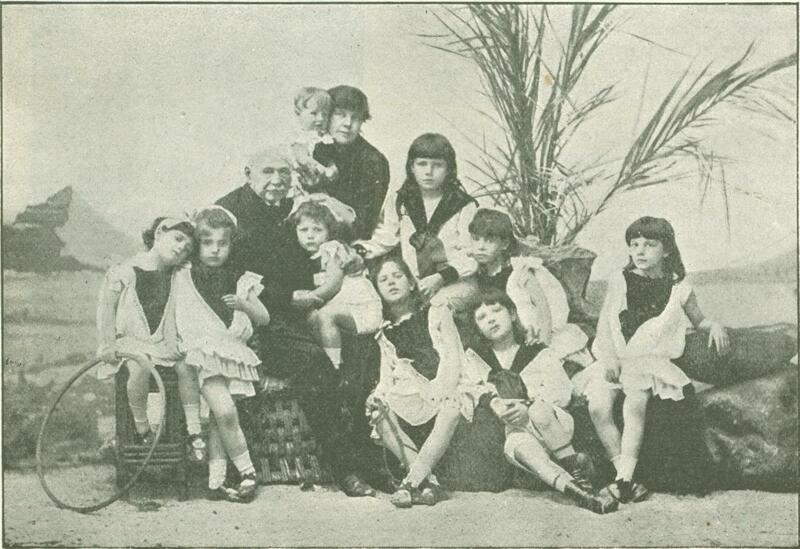 We give here three photographs of Count de Lesseps and his family. The first shows the "Grand Francais," with seven children; the next, Count and Countess de Lesseps, with nine children; and the third, the two parents and their whole family. After the success of Suez, he was appointed by Napoleon III to the rank of Grand Cross of the Legion of Honor, and was created by Her Majesty Queen Victoria an Honorary Knight Grand Commander of the Order of the Star of India, and in July, 1870, the freedom of the City of London was presented to him. About ten years after the triumph of Suez, his restless spirit prompted him to undertake a stupendous task, which even then filled his friends and advisers with anxiety. He had long conceived the idea of uniting the Atlantic and Pacific Oceans, he had already done the Red Sea and the Medi­terranean. He convened a Congress of all the European and American Powers to decide as to the routes to be selected for the construction of a canal—whether via Panama, Tehuantepec, Nicaragua, or Darien. Although opinion was greatly divided at the Congress as to the route, he favored that via Panama, and, ultimately, carried his opinion. This fatal step was the origin of all the troubles of his declining life. His glory seemed like to wane before the disasters that befell his project, and his title of "Le Grand Fran­cais" appeared to have been forgotten. 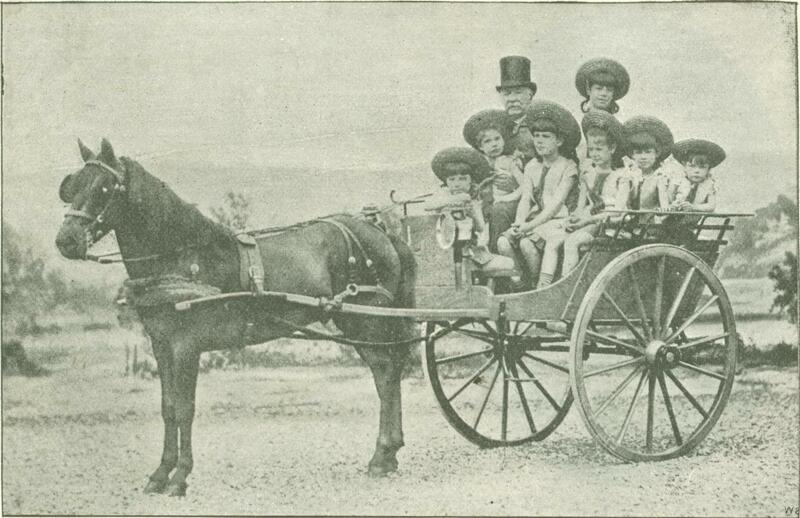 He formed his Company in 1881 with a capital of £24,000,000, which did not last long. Between 1883 and 1887 further moneys were obtained by means of several loans and lotteries, and these funds were supplied to the fatal abyss, until the amount reached the enormous sum of £60,000,000. This sum was also spent and squandered. His staff showed a want of foresight, and a want of something which is better left unexplained. The Panama scandals in Paris revealed enough to the world to allow everyone to judge for himself. But Count Ferdi­nand de Lesseps was igno­rant of all the vicious stratagems employed, and was in no way responsible. He, however, with his son Charles, had to bear the brunt of the catastrophe and atone for others. The works were stopped in 1887 for want of funds. The Canal at that time was only partly cut. The machinery, houses, barracks, huts, sheds were all de­serted. From being once the scene of active life and the center of 20,000 living beings, the Isthmus of Panama is now forsaken, and the sepulcher of the hard-earned savings of many a French peasant. The weight of such a grave responsibility as the loss of over 60,000,000, subscribed principally from the purses of the French thrifty, together with the prosecution of his son, has increased his age tenfold. He was strong and hopeful at eighty; he is senile and weak at eighty-nine. The accompanying photographs show Count de Lesseps at the commencement of his fatal task in Panama, and at the present day. Death would have been a, consolation to his many troubles, and would have ended a life full of success and glory up to its zenith, and now fast ebbing amidst the smoldering ruins of a disastrous enterprise. The concession granted by the Republic of Colombia for the construction of the Panama Canal elapses in 1895. The Colombian Gov­ernment may extend it, but will this avail? Some great engineer must answer this question. 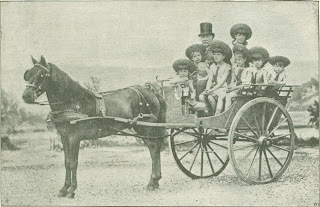 From The Strand Magazine, 1894.